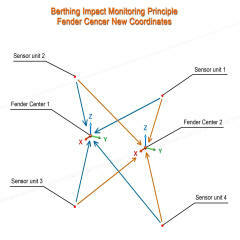 Smart Fender System, is a new cost realistic fender movement monitoring technology, that revolutionizes harbor fendering with sensor based / software aided Fender Design Weakness & Imminent Fender Failure Warnings, real time Berthing Accident & Fender Damage Alarms, and berthing impact statistical utilities. The many new capabilities made possible by the invention of the Smart Fender System will promote better berthing & fendering practices, and elevate harbor safety & maintenance standards. The Smart Fender technology was developed by Zalda Technology from aviation inertial guidance technologies, through close collaborations between the world’s top marine monitoring experts and marine fender specialists. Smart Fender System monitors fender 3D movements and generate alarms when excessive displacement ( such as fender over compression ), speed ( such as berthing speed ) or angle ( such as berthing angle ) is detected. Smart Fender System automatically detects most common fender system design weaknesses. This allow Preemptive Fender Design Optimization be performed to avoid fender permanent damages and consequential damages on ship and dock structures. By following long term fender deterioration trends, Smart Fender System can predict imminent fender failures due to natural deterioration, which allows Preemptive Fender Maintenance be performed to minimize adverse influences of emergency fender maintenance. Visualization of berth historical ship impact statistics allows easy optimization of berth fender system design, through fender asset reconfiguration and redistribution according to the actual demands of the application. The recorded historical fender movement / berthing impact data can be replayed on demand on the Smart Fender System GUI, for fender design optimization or accident / damage investigation purposes. 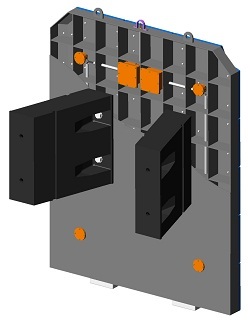 All field components enclosed in submersible housings, installed on fender system rigid frontal structures, such as a front panel. * Additional components, such as audio - visual alarm, navigational aide and network extension devices, are also integrated as needed. The Smart Fender System uses motion sensors and other auxiliary sensors to track the position and attitude of a fender system, using a modified Inertial Guidance algorithm. 3D dynamic model of the fender system is generated on a computer to measure the fender motions ( displacement / velocity / rotation ) in six degrees of freedom. Based on measured motion data, ship berthing energy amplitude and combined berth fender reaction load are derived in real time. Furthermore, by tracking historical fender motion statistics, in comparison with fender design criteria and principles, Smart Fender System can detect fender under design and predict imminent failure. A number of Positioning Sensor Units ( PSU ) are installed on the predetermined locations on the rigid fender frontal structure. By tracking the 3D coordinates of the PSUs through their local LIS, the Smart Fender System can also track position and attitude of the fender frontal structure. Based on the geometrical relations between the fender elastomers and their frontal structure, Smart Fender System can also track the spatial coordinates of the fender elastomer centers and calculate the corresponding fender compression values. 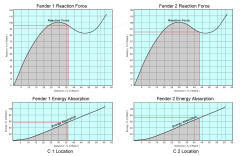 Reaction forces of each individual fender elastomer are then retrieved from fender compression - reaction database, and summed into the Combined Fender Reaction Load on the berth after applying appropriate angle / speed / temperature correction factors. Ship Berthing Energy Amplitude is calculated using traditional ship berthing energy formula, based on known ship weights / correction factors, and the Initial Ship Berthing Contact Speed detected upon each berthing impact. If the static recovery posture of the fender system changes significantly before and after each impact, Fender System Permanent Deformation alarm or Fender Panel Permanent Deformation alarm will be triggered. When fender motion envelope, as determined by fender restraining devices, is breached, Smart Fender System will initiate Fender Restraining Device Damage alarm. 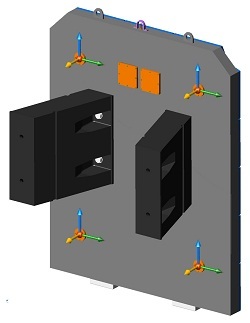 Fender system motion envelope design, based on worst case berthing impact scenario plus proper safety factors, is an integral part of fender system design process. While every event of fender motion envelope breach means an accident, frequent approaches to the fender motion envelope is a signature of fender capacity under design. Smart Fender System keeps track of the approach frequency of fender motions towards its design envelope, and generate Insufficient Fender Design warnings when fender movement envelope is approached at unusually high frequency. The probable causes of the detected fender design weaknesses are shown for reference, so that Preemptive Fender Design Optimization can be performed before permanent fender damages and other consequential damages occur. For instance, if fender rated compression is approached more than a few times a month, it would be a clear sign of fender energy absorption under design. 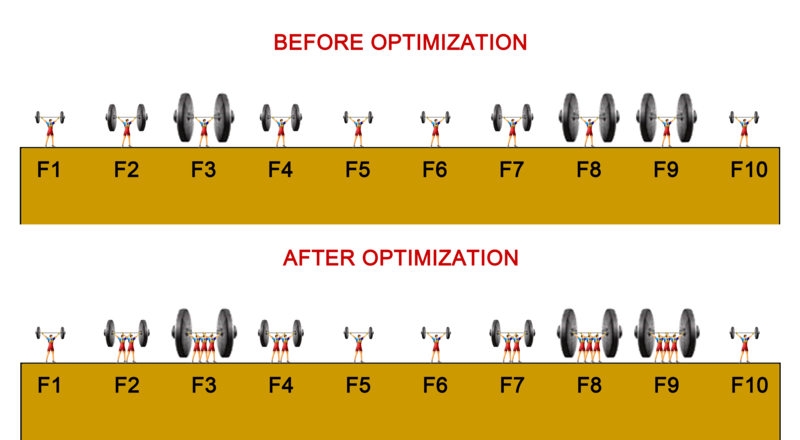 Each fender system, in its fixed location on the berth with a fixed set of berthing vessels, usually has statistically stable "general compression range" and "static recovery posture", both change gradually over time as fender deteriorates under natural conditions. By following the long term trends of fender deterioration signatures, Smart Fender System can predict imminent fender failures due to natural fender deterioration. This allows Preemptive Fender Maintenance be performed to minimize costly emergency fender maintenance. Many new possibilities arise from the invention of Smart Fender System, such as fender assets reconfiguration / redistribution based on historical berthing impact distribution, or accident / damage investigation using historical data replay. n Sudden Occurrence Costs, Resulting From Berthing Accidents Or Fender Insufficient Design. To address berthing accidents, Smart Fender System provides instant Berthing Accident / Fender Damage Alarms, along with relevant location and reading details. This helps port operators and emergency response personnel to promptly make informed decisions that could minimize the damages from the accidents. Then, Smart Fender System allow the causes of the accidents / damages to be identified through scientific means, using its permanent database and analytic tools such as Historical Data Replay and Berthing Impact Distribution Graph. These features enables engineers to accurately design counter measures that prevents the recurrence of accidents / damages. Fender system design deficiency in most cases do not inflict immediately and apparent damages after fender initial installation, but bound to be very costly over time. The Fender Design Weakness Warning function of the Smart Fender System was designed to automatically discover and analyze the causes of the design deficiency, soon after fender systems are placed into service, giving us a second chance to avoid potential damages from fender design deficiency. This allows fender designers to perform necessary Preemptive Fender Design Optimization that prevents permanent fender damages and other consequential damages on dock and ship structures. Deteriorated fender systems are not valuable. However emergency fender maintenance, due to "unexpected" failures of deteriorated fender systems, can be very costly, when it slows down berth operations. Smart Fender System was designed to track fender natural deterioration trends and warn against Imminent Fender Failures. This allows terminal operators to perform Preemptive Fender Maintenance at convenient schedules, to minimize adverse influences from emergency fender maintenance. * It is worth noting, that under-designed or deteriorated fenders are unable to provide sufficient impact absorbing capacity needed for the controlled release of ship berthing energy. Consequently during high amplitude berthing impacts, berthing energy can be released violently, which translates into exponential reaction load far beyond fender rated reaction value, causing latent or apparent damages to the docks, ships and fender systems. Early detection of fender under-design or deterioration helps prevent these costly damages. 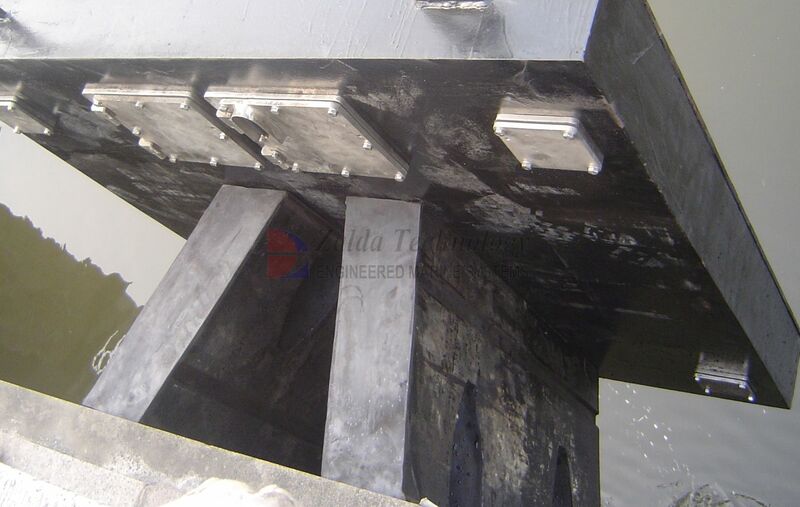 Worldwide, it has been a standard fender design practice, to design individual fender system based on worst case berthing impact scenario, and then evenly distribute the resultant design across the entire berth. But in reality, berthing impact distribution on most berths is drastically uneven. This creates serious waste in fendering materials on a world scale. Smart Fender System allows historical berthing impact distribution on the berth to be visualized with its historical Impact Distribution Graph ( IDG ) function, which can be used to determine the adequacy of each fender system, and the necessity of individual components on each fender system. With IDG, fender designers can optimize berth fender system design per actual demand of historic berthing impacts, through reinforcing the usually small high impact intensity areas on the berth with higher fender configuration / density, while protecting the larger low impact intensity areas with reduced fender configuration / density. This creates a high probability to achieve far better fendering at much lower costs, especially for larger berths over a long period of time. Smart Fender System is a part of the motion tracking based Berthing Impact Monitoring technology ( BIM ) developed by Zalda. The main objective of BIM technology is to study the long term effects of ship berthing impacts on harbor structures. Other facets of BIM technology, such as pile motion - impact monitoring, fender based ship accidental drifting monitoring, and marine structure ( fatigue / seismic ) movement monitoring are also closely related to the development of Smart Fender System. The Smart Fender System is one of the 20+ applications developed on Zalda’s MMCS network monitoring – automation platform in the last 15 years. It is supported by MMCS multiplex information systems and integrates seamlessly with other MMCS applications, such as BSM berthing status monitoring, MLM mooring load monitoring, MEM marine environment monitoring and ACM mooring line release automation systems. Due to its strategic waterfront location, Smart Fender System could provide many elements of tomorrow's Smart Harbor Infrastructure outside the realm of fendering, such as shore power, hydrological monitoring, network infrastructure and navigational aids. Today's Smart Fender System is tomorrow's Smart Waterfront System in its infancy. n All specs are subject to revision without notice. Please contact us to verify prior to ordering.